US News & World Report released the 2019 Best Places to Live in the United States and for the third year in a row, Austin Texas took the gold medal. So, what makes Austin so great? Austin is the perfect city for those that are looking for a place with great food, great outdoors, and sustainable living. Here is a list of 5 things that make Austin the best place to live! From breakfast tacos to delicious BBQ – Austin is the perfect place for food lovers. The city has numerous options for tacos, brunch and of course BBQ! Austin was ranked #2 on Zagat’s list of “30 Most Exciting Food Cities in America 2017”. Austinites are environmentally aware and work diligently to maintain the city beautiful and green. Sustainable living is a core value of the city of Austin. Events like Keep Austin Beautiful help promote community clean ups and recycling education. Austin is the perfect place for outdoor lovers. The city is surrounded by a plethora of lakes, rivers, and parks. From hiking around Lady Bird Lake to cooling off at Barton Springs Pool in the hot days of summer – you will never find yourself bored in Austin! Austin is known for having more live music venues per capita than anywhere else in the nation. The state capital hosts some of the largest music events and festivals such as South by Southwest (SXSW), Austin City Limits (ACL), Fun Fun Fun Fest and more! And finally – affordability. 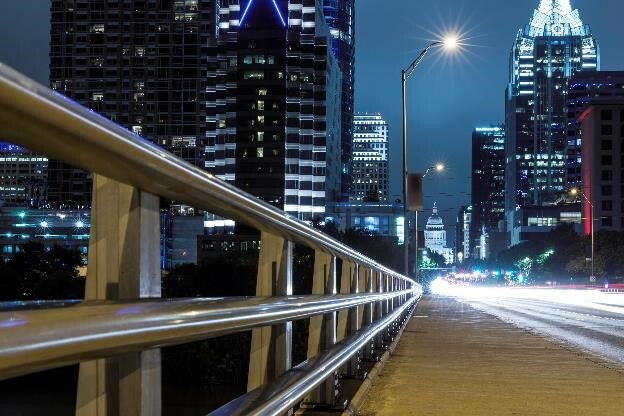 At 3% below the national average cost of living and at 15% below the national average of cost of housing, it is no surprise that Austin is one of the most popular cities in Texas. There you have it, the top 5 reasons you need to pack your things and move to Austin, Texas! Looking for a dynamic community, close to downtown Austin and you are willing to live tiny? Schedule a tour of Austin’s Tiny Home Community today!